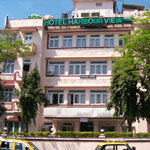 Hotel Harbour View is located at Colaba, South Mumbai (Maharashtra, India) near Gateway of India at 1 Kms southward of Churchgate and Victoria Terminus Railway Stations. 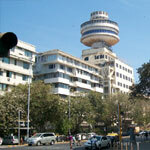 1, Garden Road, Colaba, Mumbai - 400039. 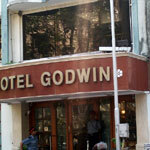 Hotel Godwin is located at Colaba, South Mumbai (Maharashtra, India) near Gateway of India at 2 Kms southward of Churchgate and Victoria Terminus Railway Stations and 25 kms from Airport. 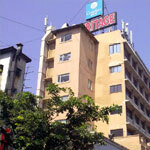 Comfort Inn Hotel Heritage is located at Byculla, Mumbai (Maharashtra, India) 5 kms from Victoria Terminus and Dadar Station and 20 kms from Arirport. 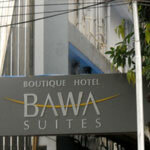 Hotel Bawa Suites is centrally located on linking Road in the heart of Mumbai city (Maharashtra, India), Bawa Suites ,Khar is an 8 kilometer drive from the domestic airport. The area boats of one of the most wide-spread shopping centers for anything which one needs to shop for whether for economical or for up-market trendy commodities. The Ambassador Hotel at Mumbai (Maharashtra, India) is a whisper away from the Arabian Sea nestling elegantly in the commercial heart of Mumbai, and just a trot away from the Gateway of India, it offers a good option for the business traveller. 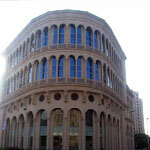 Rodas Hotel is a business hotel located in Powai in Mumbai (Maharashtra, India). 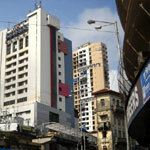 Powai is a Business District and upmarket residential locality that is well connected to Central and Western Suburbs and Airports. Chateau Windsor Hotel is a budget hotel in South Mumbai near Churchgate Station and walking distance from the Marine Drive with 50 Rooms. 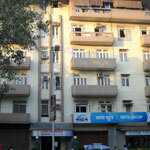 Hotel Krishna Palace Residency is a 3 star hotel located at Nana Chowk, Tardeo - Mumbai (Maharashtra - INDIA).